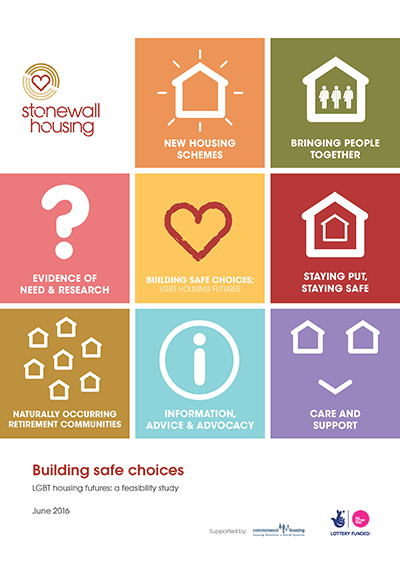 Building Safe Choices was a research project we ran in 2016, investigating the current provision of housing and related care and support services for older LGBT+ people. The findings were discussed at a launch event in London, as well as being shared online for further comments. There are no housing or care schemes specifically for older LGBT+ people. Despite some providers setting out good intentions and improving their practice, older LGBT+ people are still uncertain about what they can expect in the future. Many fear the worst.